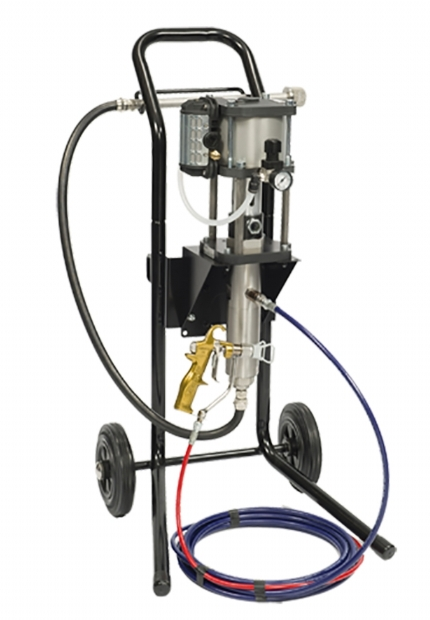 The standard features of Binks airless pumps position them as the premier choice for high speed surge free paint delivery. Binks pumps are a completely new design in pump technology utilising patented magnetic detents to dramatically enhance smooth pump operation and change over with no pulse to provide the best “surge free” paint delivery for the perfect finish. These pumps operate at 32:1 ratio delivering 4 litres per minute output (max) with self-adjusting spring loaded packings for longer pump working life cycle and reduce the need for costly maintenance and downtime. The fluid sections and all wetted parts are constructed from the highest quality stainless steel for best fluid compatibility whilst providing a long and durable working life. Pumps are fitted with an operator friendly control panel and include a quality easy to clean fluid filter as standard for reduced tip blockages.